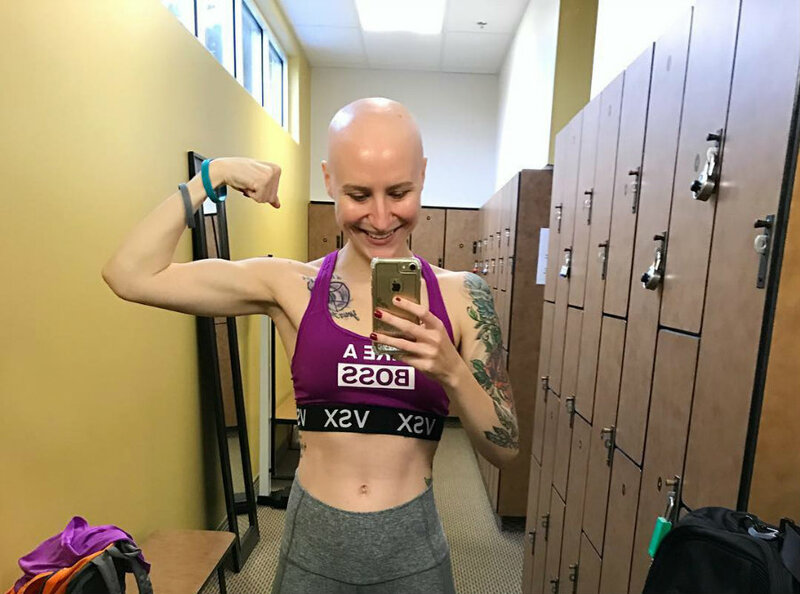 A bodybuilder from Seattle was diagnosed with Ovarian Cancer last August, and since the diagnosis, she has documented every step of the treatment on her famous Instagram profile. 23-year-old Cheyann Shaw was a regular Seattle woman that was working hard on pursuing her career as a bodybuilder and fitness blogger. Everything changed when she visited her OB-GYN in a regular appointment. The doctor suggested a surgery because of the presence of an ovarian cyst, which is a common thing among women and it is not necessarily serious. However, when the doctor performed the surgery, he realized that above her pubic area, there was a lump. Right away, Shaw went under all the corresponding examination and ultimately determined the presence of cancer disease. The initial diagnosis suggested a stage 3 ovarian cancer. Among the treatments and surgeries she went through, doctors had to remove their spleen, appendix and part of her colon and bladder and even perform a hysterectomy. After all these operations, doctors realized that the cancer was more advanced and severe, and diagnosed a stage 4 ovarian cancer. She is currently going through the chemotherapy treatment since October. According to Shaw herself, one of the tumors was the “size of a beach ball,” while she had other four smaller ones. She explained that neither she or her doctor had realized how much the cancer disease had taken over her body. She said that the disease was in her spleen and her lymph nodes when it was increased to stage 4. Even when the struggle has been a tough task, Shaw has not given up at any time. She has been positive day after day and has shown her road to recovery on her Instagram profile, where 193,000 users follow her. Every time she has the opportunity, she posts a photo with a message of positivity to their followers. She also has a Youtube channel, where she talks about how difficult this process has been. On late November, Shaw published a comparison photo of how she looked before the disease, and after all the surgeries and treatments. She explains in the post that before August, she weighed 130 lbs and had 15 percent of body fat. Then, in November, her weight only got to 105 lbs. She said that is hard to look herself in the mirror after all that work she did to accomplish a beautiful body and feel good. This week, Shaw posted a very touching and inspirational photo alongside a thrilling message about her fight against cancer and how she will never give up, no matter how hard the task is. “This is the toughest battle I have and will ever face, but I know I can do it. The hardest part of all this is my body change. I have a hard time looking at myself in the mirror but I’m learning to love myself again and I know this is only temporary. Once I get the clear light to workout, I’ll be in the gym banging those weights,” she posted on Instagram this past Saturday.